​​Devin Booker is wasting away in Phoenix and there's nothing he can do about it. The Suns are a trash heap, and have been for quite some time despite expecting to take a step forward, surely, one of these years. Instead, Phoenix serves as the honorable Western Conference doormat, failing to provide anything more than some ridiculous ​Booker statlines to the NBA landscape. Monday night in Utah was more of the same. The Suns lost by 30. THIRTY. The rest of the team combined for 35 points. Booker is one of the best young talents in the NBA. Still just 22, the former Kentucky standout already has games of 70 and now 59 points, despite the fact that Jimmer Freaking Fredette assumed his first game back in this continent was a great time to take ten shots despite bricking nine of them. For the mathematically-challenged, Fredette had six points. 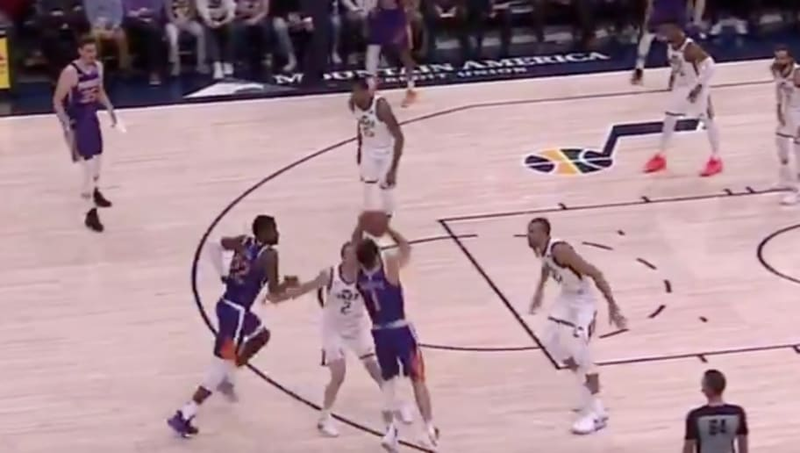 Booker deserves better than these Suns, even with the likes of DeAndre Ayton just beginning to thrive. Phoenix is lacking in oh so many departments, and another top lottery pick won't make much a difference. Booker, on the other hand, has a chance to be special. Let's hope he's not forced to whither away in the desert sun.